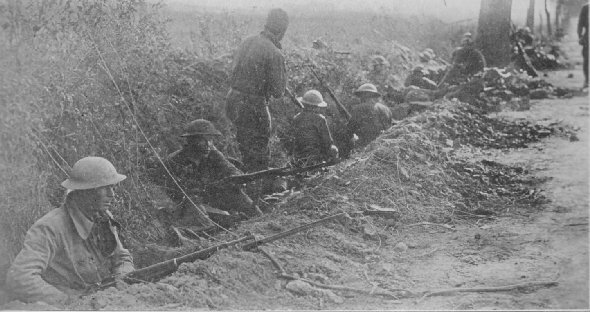 Members of 18th Inf., 1st Div., advancing a few yards at a time up the steep slopes of Hill 240, near Exermont. 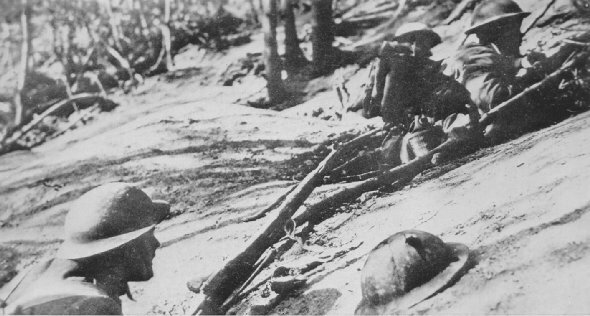 The bullet-torn helmet in the foreground is mute evidence that some enemy shot found a mark. Oct. 11, 1918. 168th Inf., Rainbow (42nd) Div., in France since Nov. 1917, is now made up principally of replacements. New men quickly became imbued with the ideals and traditions of the outfits to which they had been assigned, and carried on.